BA from Sophia University. Master of Landscape Architecture (MLA) from University of Pennsylvania. Encountered Swiss Landscape Architect Paolo Bürgi, personal and professional mentor. Worked for Landscape Design Dept. of Kajima Co. in Tokyo. Moved to Rome and worked for garden/landscape projects. Published "San Sen Sou Moku", a book in Italian on Japanese gardens. Back to Japan and trained as gardener in Nara. 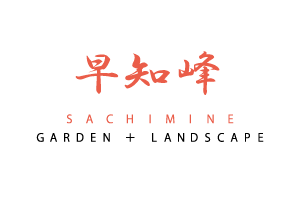 Presently, independent practice as gardener / garden designer based in Uda-Matsuyama, Nara. 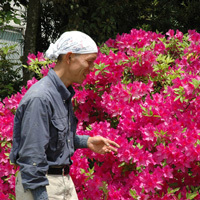 Teach annually on Japanese gardens at Agriculture School of Monza Park, Monza, Italy.